Doddington is a quiet rural English village located in the Kent Downs, an Area of Outstanding Natural Beauty. 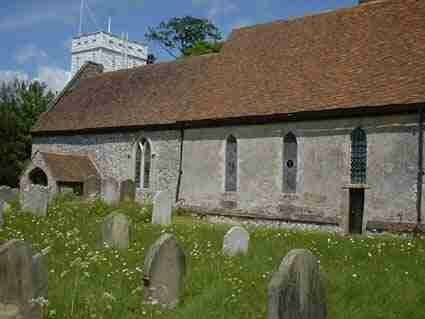 It is some five miles southwest of Faversham just after the neighbouring village of Newnham. Doddington is a popular stop for ramblers and cyclists. 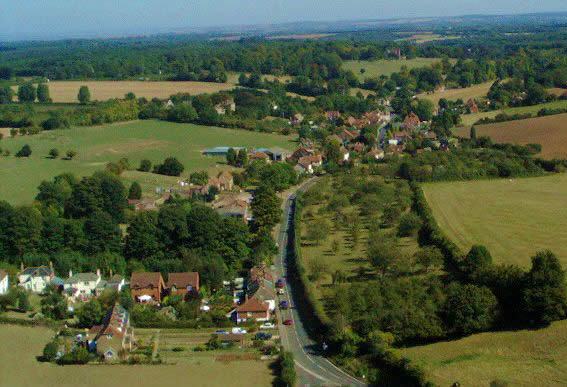 Within the village is a pub The Chequers, a garage/petrol station (Doddington Service Station), a family butcher (Doughty's - awarded Best in Britain Award by the Countryside Alliance in 2011) and a large grassed playing field. There are numerous historic buildings including Doddington Place (with gardens open to the public), an historic church (with the unusual dedication, The Beheading of John the Baptist), and a thriving village community with many local clubs and societies including a Men's Club, football club, pre-school and the Valley Players, who are giving three performances in 2012. Annual events include a Christmas pantomime (in the village hall), fireworks display (Doddington School), a village show (in the village hall) and village auctions (usually twice a year, in the village hall). The Village Appraisal carried out in 1997 revealed a wealth of information on all aspects of the village including history, geography, wildlife, flora and fauna, buildings, population and statistics.